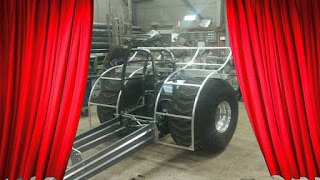 The Light Modified Tractor called ,,Rocket Science´´ from Weert in the Netherlands got some updates during the last winter. The Light Mod received a new paint job, a completley new design on the fenders and with BMO Automation a new main sponsor came on board. 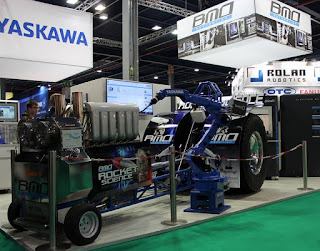 BMO Automation is a manufacturer and supplier of automation solutions for loading of CNC turning and milling machines with headquarters in Nederweert, the Netherlands. 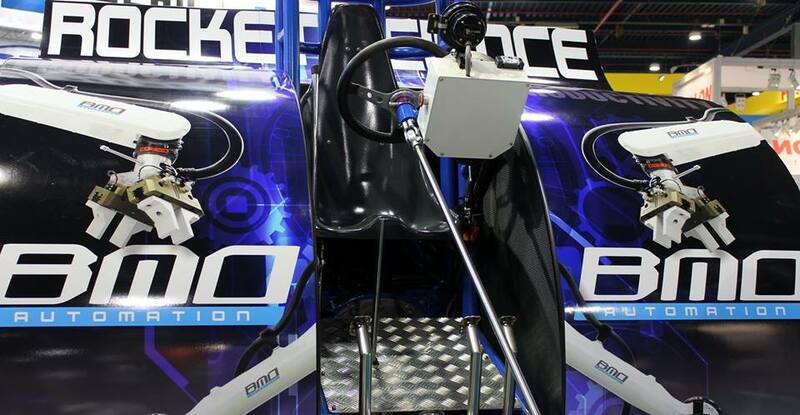 The new design and stickers for the fenders were made by JAMP from Weert in the Netherlands. 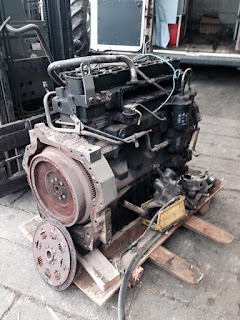 Also the 12.6l DAF 1260 Truck engine with 3 Holset turbochargers on methanol got some improvements during the last winter. 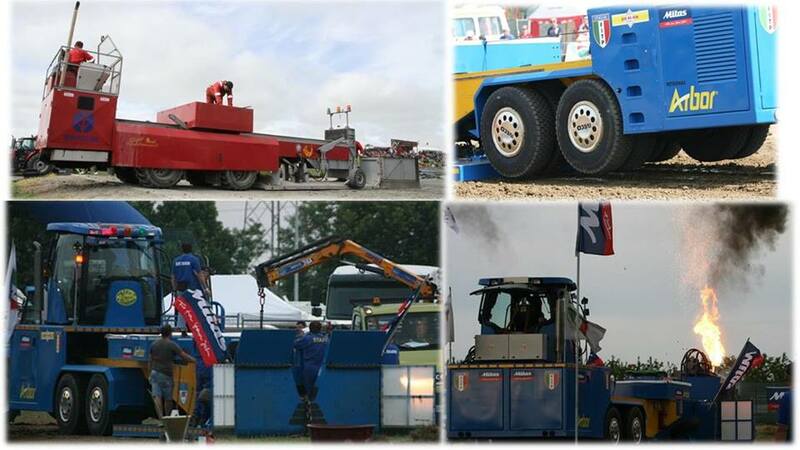 The Rocket Science Pulling Team will compete in Dutch Grand National Championship and in the Euro Cup this year. 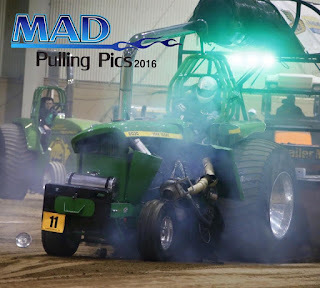 The first start after those changes is planned for the 9th of April 2016 at the Indoor Tractor Pull in Riesa, Germany. The Green Monster Team from Füchtorf in Germany are currently building a new twin Allison V12 powered Tractor for the Light Mod (5500lbs) class. 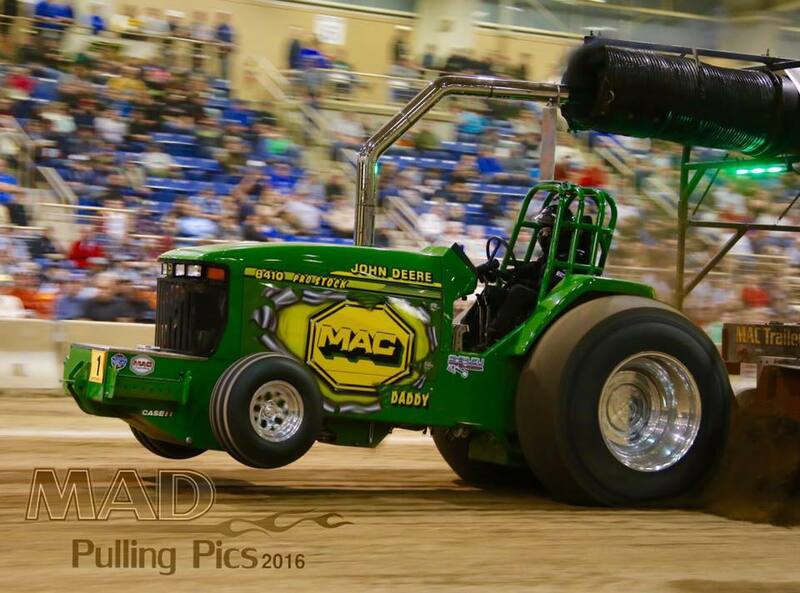 The first start of the new Green Monster Stage 5 is planned for the 24th of April 2016 at their home pull in Füchtorf, Germany. For further information about the new 5500 lbs / 2.5t Light Modified project of the Green Monster Team in the next few weeks, check here at pullingworld.com. Blue Shadow Sled sold ! 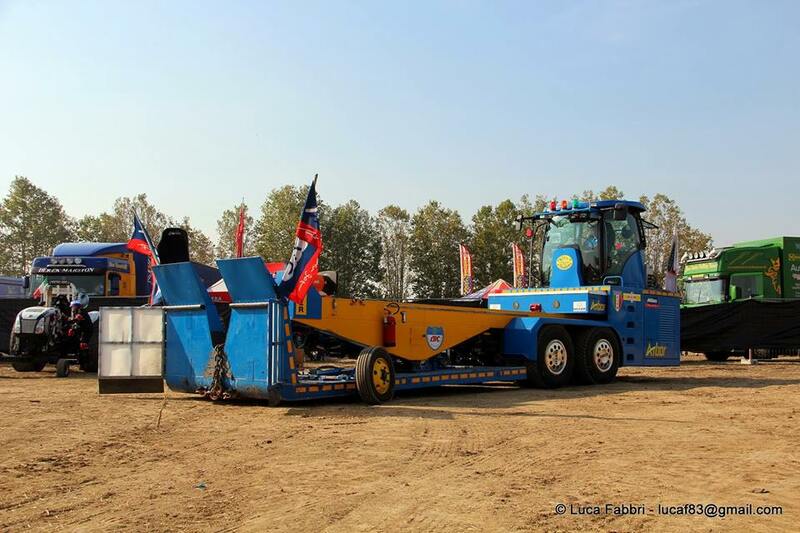 The ,,Blue Shadow´´ sled from Italy was sold to Norway. The new owners of the sled are the Jaeren Tractor Pulling Team from Bryne in Norway. 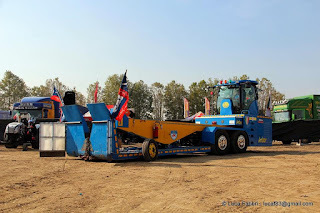 Also the 27 years old Viking Sled of the Jaeren Tractor Pulling Team was sold to a new Club in the mid of Norway. 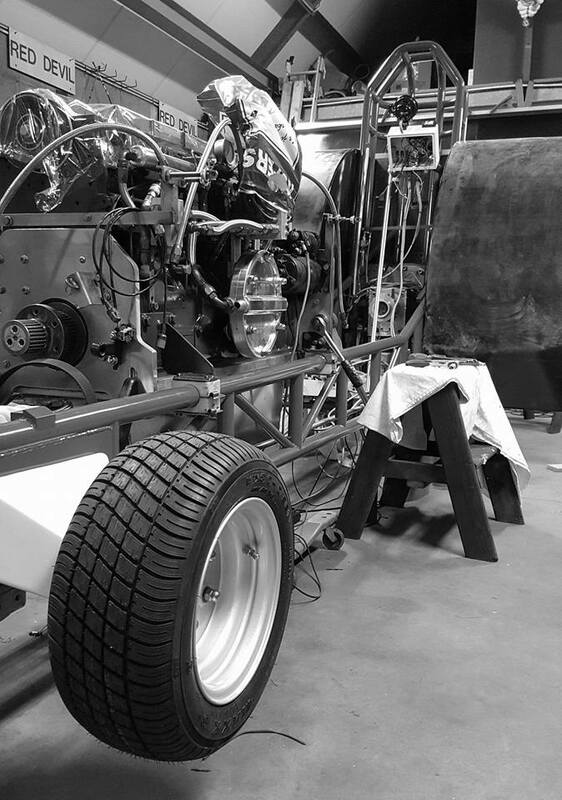 The first test of the newly purchased sled is planned for the 28th and 29th of May 2016 in Bryne, Norway. 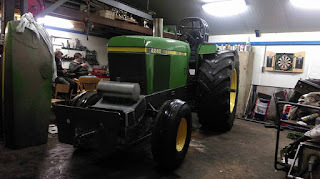 The IH 1066 Diesel Super Stock Tractor called ,,Rowdy´´ of Hans Schwaiger from Wielenbach-Bauerbach near Munich in Germany was rebuilt during last winter. The Super Stock Tractor got a new wedge frame, a new air suspended front axle, new aluminum fenders and a revised IH 1066 hood. The IH hood is now a little bit longer than last year. Hans uses the same Firestone All Traction 10 Ply tyres, the same rear axle, the same Crower clutch and the same gearbox on his rebuilt Super Stock as he has also already used in the past years. Only the original IH clutch bellhousing got a modification. The shatter blanket around the clutch was replaced by a new protection liner inside the clutch bellhousing. 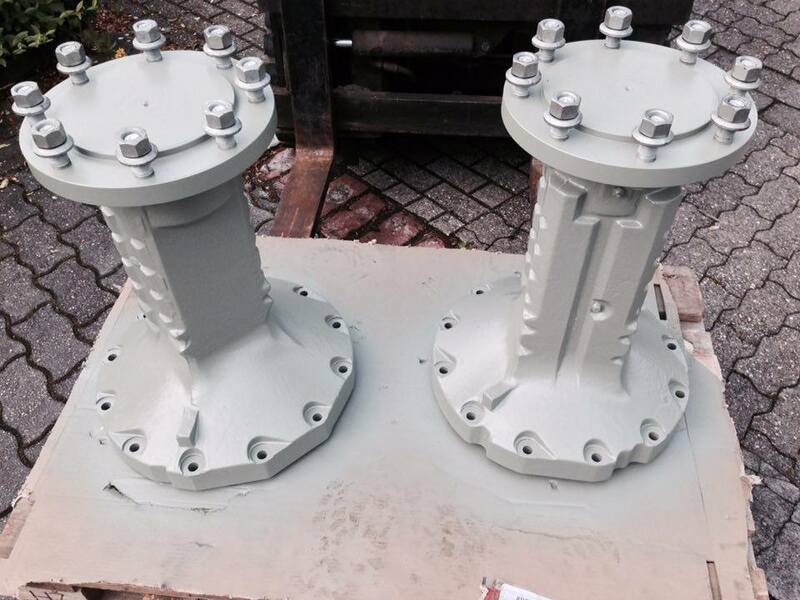 The protection liner was constructed and built by Kaiser Performance in Gussenstadt, Germany. The Super Stock Tractor can drive without the shatter blanket now. 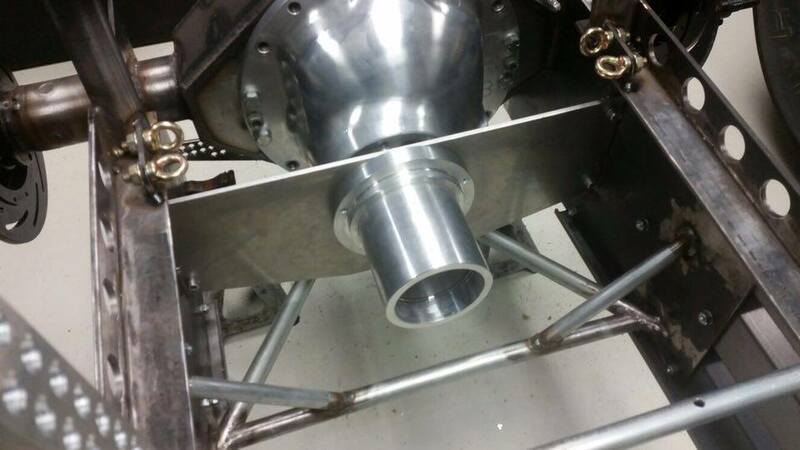 With the new wedge frame Hans can rebuild the Tractor to an Component Super Stock Tractor anytime. 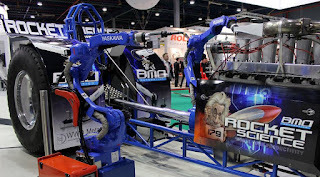 The drivers position on the tractor is now further back and the center of gravity is lower. He hopes to get a better balance with those changes. 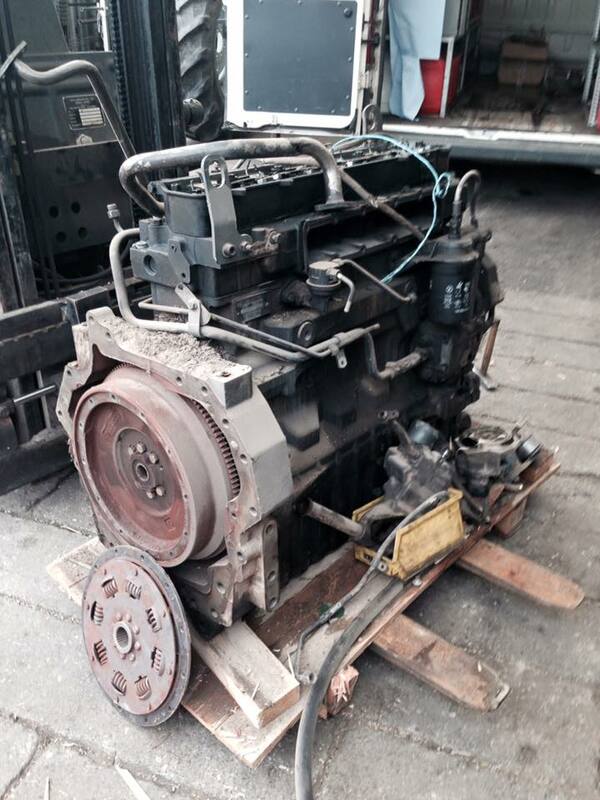 Also the 6 cylinder IH engine with 4 turbochargers received some changes during the last winter. The engine got new pistons, a new intake system, the cylinder head was revised and the cooling system of the cooler modified. The cooler now sits behind the engine. The old Bosch P diesel fuel pump of the engine was replaced by a bigger Sigma injection pump with 17mm elements. 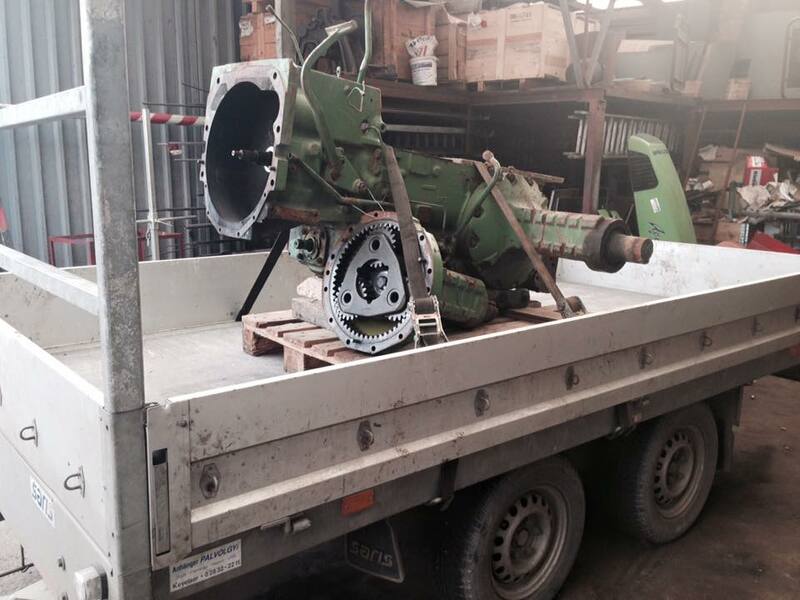 Hans purchased the Sigma pump from the Midnight Deere Pulling in Germany. Hans Schwaiger will compete with his Diesel Super Stock in German Championship this year. The first start is planned for the 24th of April 2016 in Füchtorf, Germany. The Let´s Try Pulling Team from Dronten in the Netherlands are currently working on a new Mini Rod. 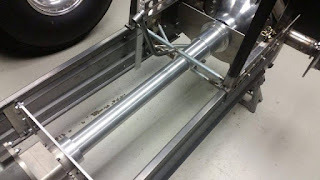 The new Mini Rod gets a Domex wedge frame with a new homemade ROP and a new homemade rear axle housing. The drivers position on the new Mini Rod is more forward and the center of gravity is lower. The Team hopes to get a better balance with those changes. The Tractor receives a new Rockwell F106 rear axle, a new SCS reverser, a new Browell clutch bell and a 8´´ Molinari clutch with 3 discs. The Mini Rod will have a new BAE V8 Hemi engine with a SSI 14-71 blower, a Enderle scoop, new cylinderheads, a new homemade exhaust system, a new MSD Pro Mag 44 ignition, a Enderle fuel injection system and a new homemade Aluminium fuel tank. 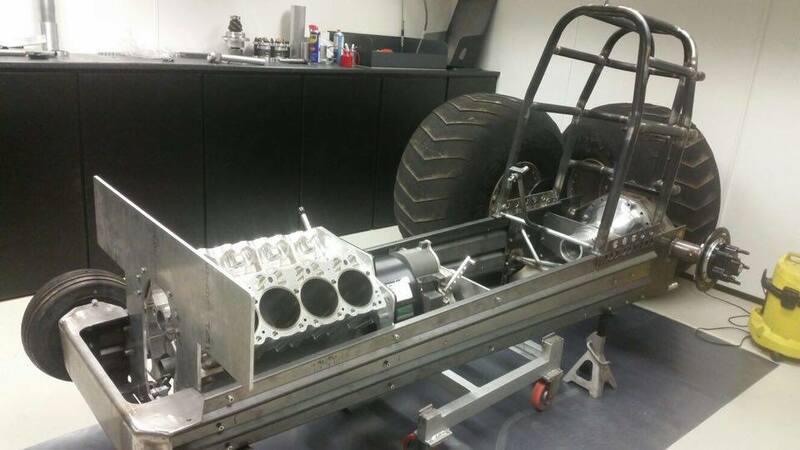 The Dutch Team also working together with the Post & Dros engine shop in Dronten, the Netherlands. 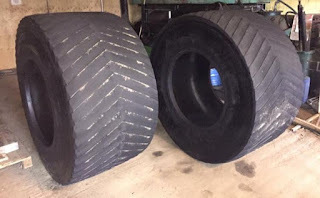 The new homemade fenders for the Tractor will made from Carbon, because of the weight. The Mini Rod also gets a set of new rims with Pioneer tyres. 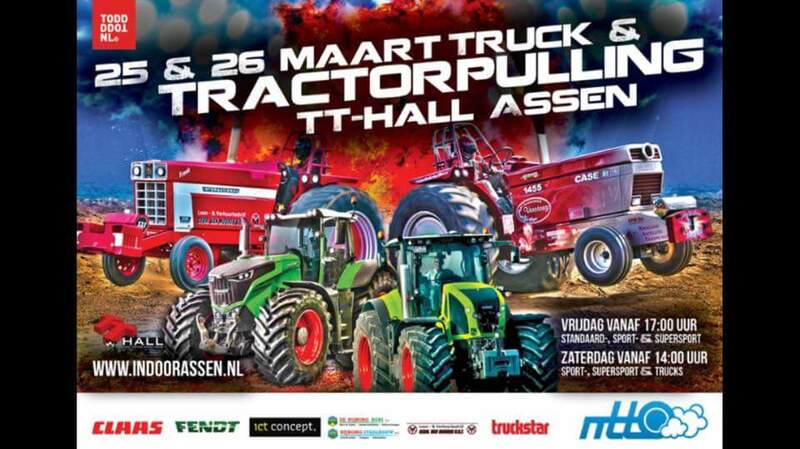 Last but not least, the Team and Tractor have with AB Transport Group a new main sponsor for this upcoming season. The first start of the new Let´s Try is planned for the 14th of May 2016 at the Dutch Grand National opener in Stroe, the Netherlands. The new Metervreter is ready ! 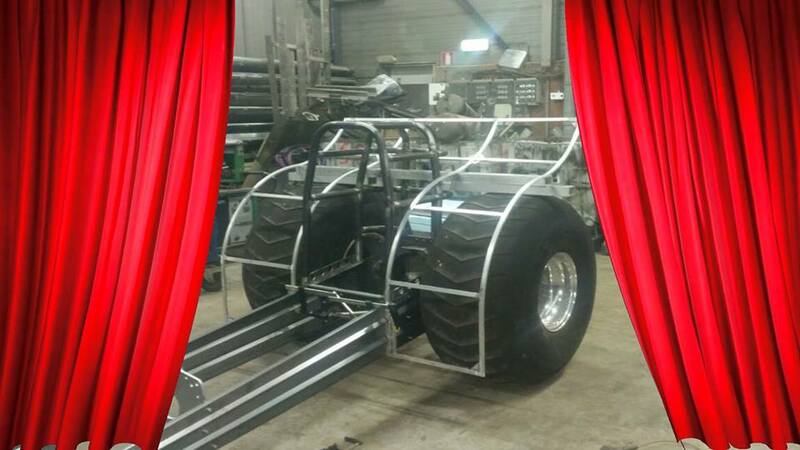 After more than 2 years work, the new 4.5t Super Sport Tractor called ,,Metervreter´´ from the Netherlands is ready. The new Tractor got a homemade Domex wedge frame with a homemade ROP and a JD rear axle. 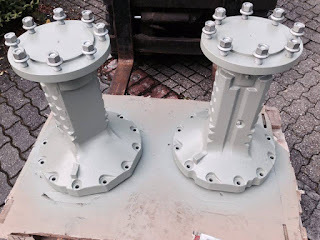 The JD gearbox receive special made gears. 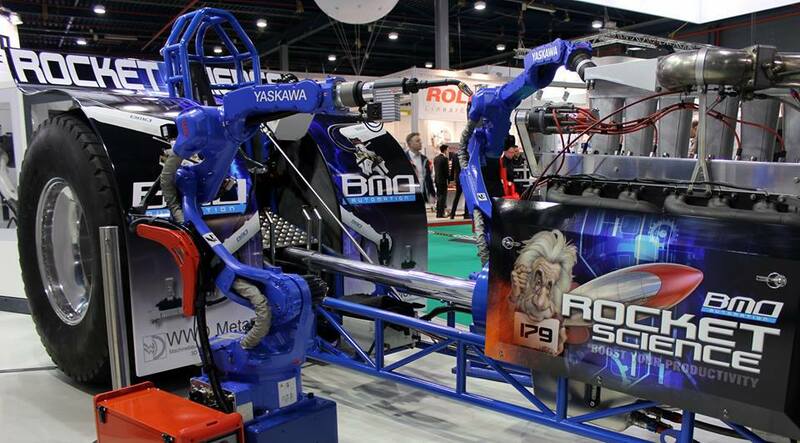 The gears were made from Toollox. 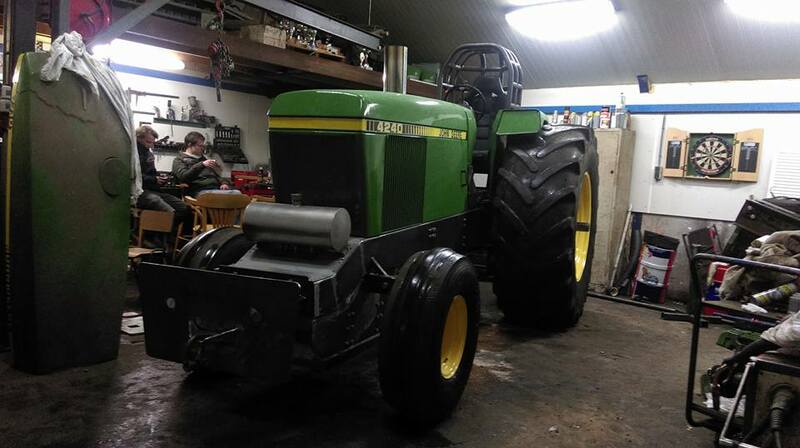 The fenders and the hood of the Tractor come from a John Deere 4240. The Super Sport Tractor is powered by a 6 cylinder John Deere engine with 8,1l capacity. The engine receive a JD Stock cylinder head with 24 valves, a homemade intake and exhaust system, a homemade Intercooler, homemade pistons, a Holset HX 80 turbocharger and a Bosch P 3000 Diesel fuel pump with 12 mm elements. Also the new Tractor got a set of used rims with cut Michelin tyres. 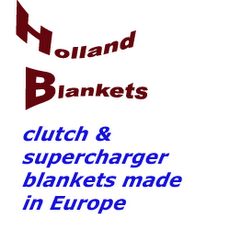 The dutch Team will compete in the Dutch Championship this year. 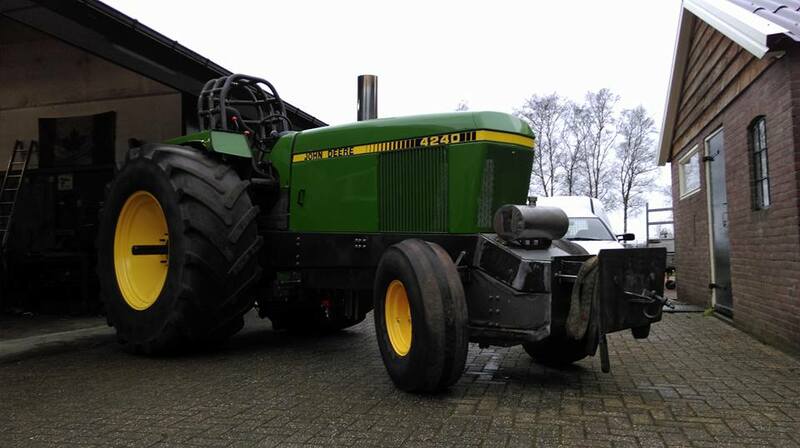 The first start of the the John Deere 4240 Super Sport Tractor is planned for the 26th of March 2016, at the Indoor Farm Stock Pull in Assen, the Netherlands. 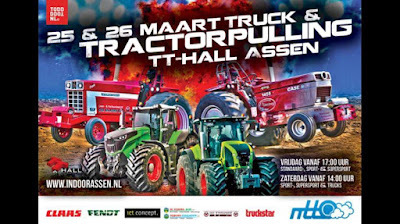 The Kools Pulling Team from Cadzand in the Netherlands have tested a set of new cut Mitas Powerpull tyres on their Case IH Puma Super Stock tractor called ,,Mitas All or Nothing´´ at the European Superpull in Ahoy, Rotterdam, 2 weeks ago. The tyres on Bram Kools Tractor were the latest version of the Mitas Powerpull tyre at the moment. After a lot passes of different Teams in Europe and the USA during the last season, the Mitas Powerpull tyre were further developed and improved from Mitas during the last winter. 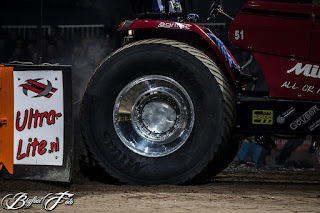 The latest tyres on Mitas All or Nothing has a different construction of the carcass and the same tyre tread as the Firestone Puller 2000 HP tyre. 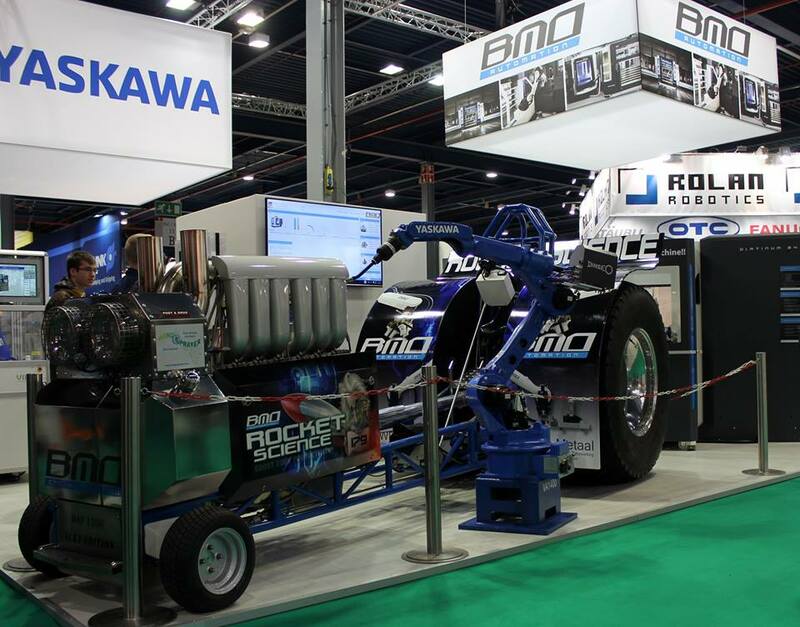 Bram Kools was pleased with his first pass on those new Mitas Powerpull tyres, the tyres worked well in Ahoy. Bram will make some more passes with those new Mitas Powerpull tyres (Bram can play with the tire pressure) in Füchtorf, Germany next month. Willi Peters from Kevelaer in Germany is building on a new Claas Pulling Tractor for the 3.6t Super Sport class at the moment. The new Tractor gets a homemade tube frame with a homemade ROP and a JD 4020 rear axle with some changes. The bonnet and the fenders of the new Tractor come from a new Claas Arion 620. The new Super Sport Tractor receives a 3 gear John Deere 4020 gearbox with special made gears from KMB (Koebrugge Metaal Bewerking), a needle bearings differential from the dutch Simply Green Pulling Team and probably a homemade 11´´ clutch with 4 discs. The new Claas Tractor will have a John Deere 6 cylinder engine with 6.8l capacity from a Claas Axion 850, a JD Stock cylinderhead with bigger injection nozzles, a homemade intake and exhaust system, a JD stock crankshaft, a Bosch 7600 P Diesel fuel pump and a homemade Intercooler. 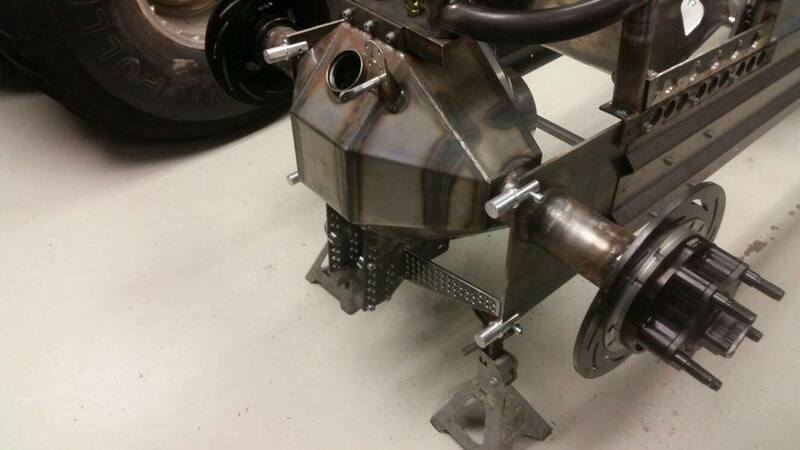 Which turbocharger, rods and pistons the engine gets, isn´t 100% sure at the moment. But he has planned to use Iveco pistons for the John Deere engine. 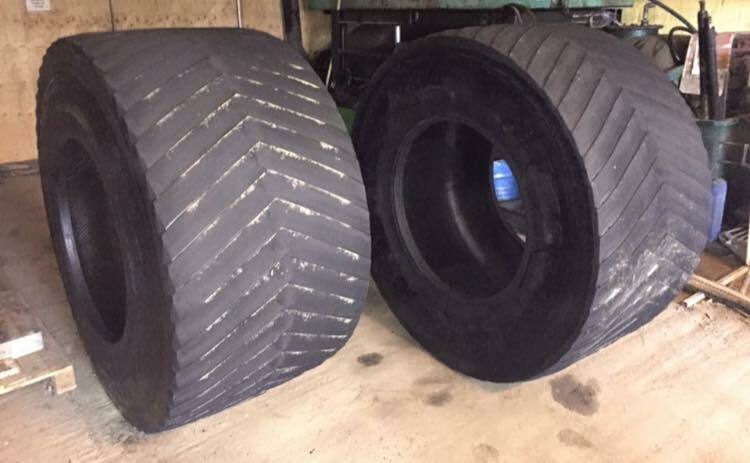 Willi Peters purchase for his new project a set of new steel rims with new uncut Michelin Xeobib 710/60R42 tyres. The first start of the new Claas Arion 650 Super Sport Tractor is planned for 2017 in the German Championship.